Professional Photographer who has been trusted to shoot in numerous big brand campaigns with A-List Celebrities. YOUNG PHOTOGRAPHER OF THE YEAR in 2011 ELLE STYLE AWARDS and he has also been selected to represent Indonesia as the L'Oreal Paris Indonesia Official Photographer at Cannes Film Festival 2013.
International Makeup Artist based in Singapore who has been working well over 18 years in the industry and this has culminated with his win as Make Up Artist of the year at Singapore Fashion Awards 2003 and 2004. His work has been published internationally in PARIS, HONGKONG, JAPAN, DUBAI, TAIWAN and INDONESIA. 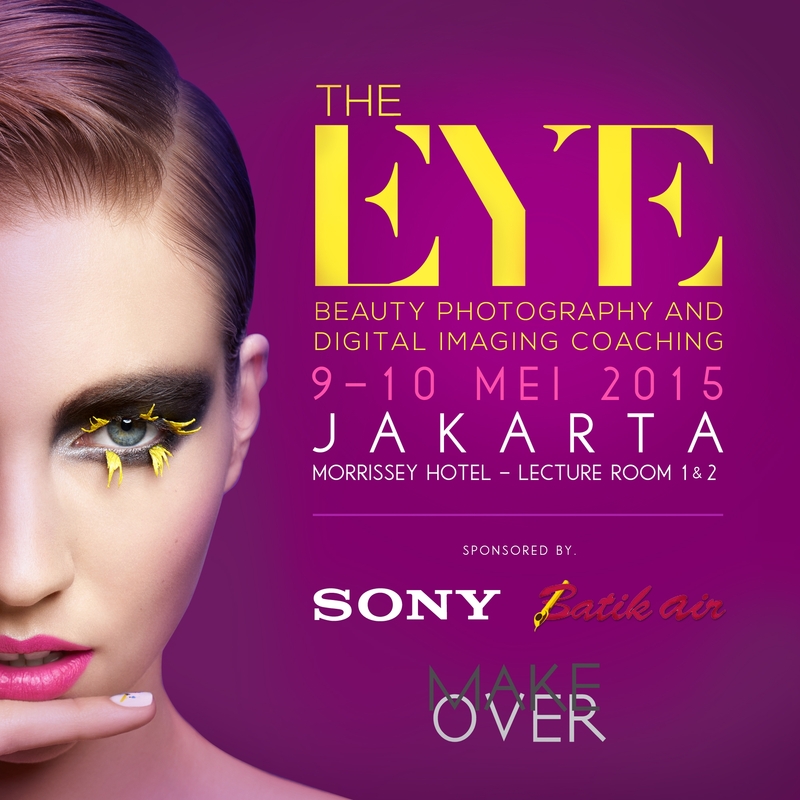 LECTURE ROOM 1 & 2, MORRISSEY HOTEL JAKARTA. *Early Bird Tickets on sale until April 25th, 2015. Including 1 day or 2 days seminar and one-on-one workshop, coffee break and lunch break at MORRISSEY HOTEL Jakarta, Goodie Bag and Certificate.